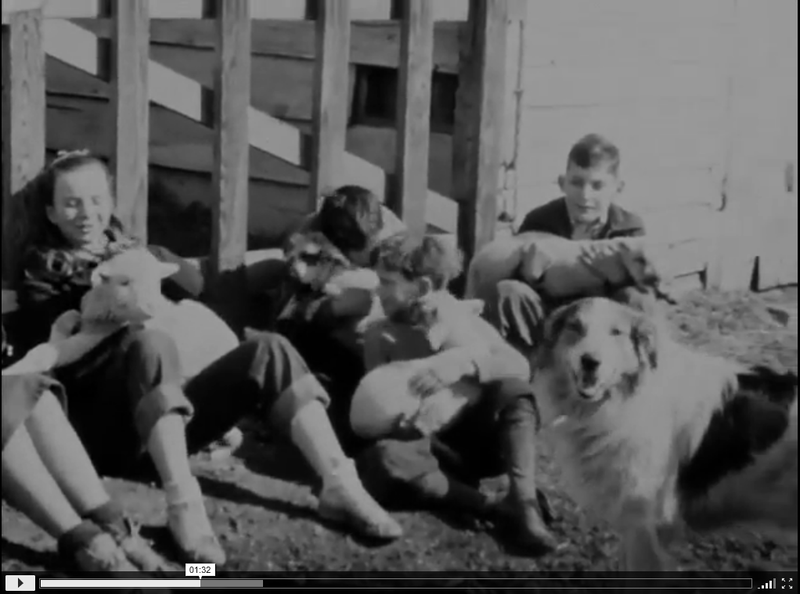 Today’s entry is written by Kimberly Tarr, Moving Image Preservation Specialist at the Barbara Goldsmith Preservation and Conservation Department of NYU Libraries. 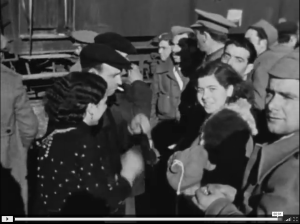 NYU’s Tamiment Library and the Division of Libraries Media Preservation Unit are delighted to announce the recent film-to-film preservation of three 16mm reels shot during the Spanish Civil War. 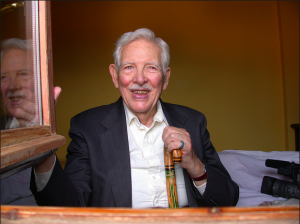 Thanks to the generous support of Carol-Jeanette and Rickard Jorgensen, these films have been preserved for long-term posterity and will soon be accessible to researchers. The films document the men and women who volunteered to fight in the international struggle against Fascism, quotidian life in the 1930s Spanish countryside, and war’s dramatic destruction. NYU’s Tamiment Library acquired the collection from an independent group of veterans, known as the Abraham Lincoln Brigade Archives (ALBA), in 2000. The ALBA Collection contains thousands of linear feet of archival materials, including still and motion picture films shot during the Spanish Civil War, as well as extensive supporting documentation — log books and oral histories, which help to shed light on the history of the films’ production. 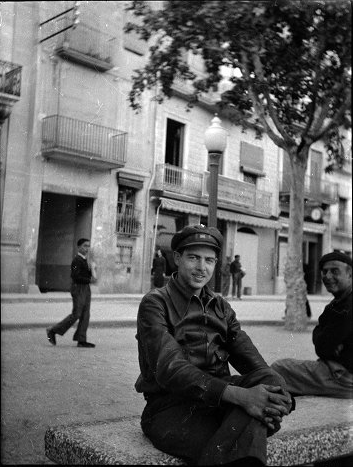 Sergeant Harry Randall of the Photo Department, May 1938; Harry Randall: Fifteenth International Brigade Photograph Collection; ALBA PHOTO 011; Item 11-0022, Photo Unit #: B548; Tamiment Library/Robert F. Wagner Labor Archives, New York University. 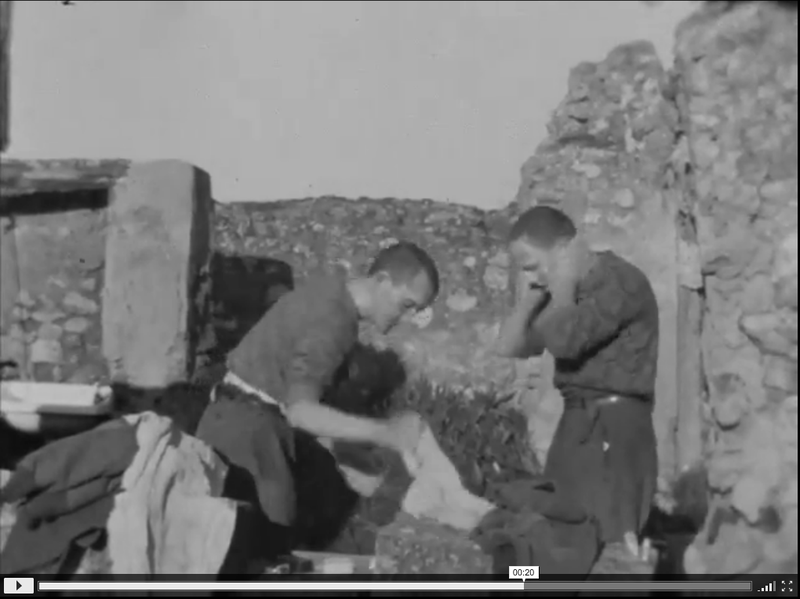 In 2011 NYU preserved another ALBA film, shot by Henri Cartier-Bresson and Herbert Kline called With The Abraham Lincoln Brigade in Spain. This film was screened at the Orphans Film Symposium in 2008 and appears on a compilation DVD produced by NYU and Orphans. An Oregon native, Randall worked as a projectionist during high school and became involved with labor organizations as a student at Reed College in Portland, Oregon. Randall was a pacifist concerned with preventing another world war; he had no illusions about war or armies but, when Hitler rose to power the situation became much more alarming: “So, I became one of the left-wingers in the school who were making all kinds of local protests against Fascism and against Hitler…” Randall recalled in an oral history. Randall set up the mobile photographic unit, which traveled throughout Spain from 1937-1938. Not only was it difficult to secure film and paper during the war, but Randall also had to secure running water and electricity when he and his unit traveled from camp to camp. Approximately 50,000 men and women from 53 nations fought against the Republic in the International Brigades. Initially, the volunteers were predominantly from Italy and Germany – countries that had been experiencing Fascism at home. “Some came with military experience, some claiming to, but all fighters who valued their principles above everything else, who were ready to sacrifice home and family, livelihood and even life for the cause in which they believed. They stowed away in boats; they hitchhiked across continents. Governments raised barriers against them. The French border was closed to them. But they came,” reported one compendium brigade report in the archives. The U.S. volunteers came from all classes and from nearly every state in the union. Almost 20% of the American volunteers came from the NY metropolitan area. Well-represented groups included teachers and students; sailors and longshoremen; and recent immigrants. The volunteers had to organize in secret, quietly boarding ships in New York and not speaking to one another on the multi-day journey. On average, the Americans were younger than the other nationalities that comprised the International Brigades. Some considered themselves pacifists and the fight against Fascism was a common rallying-ground. Recruitment was largely handled by the American Communist Party. Americans organized into the Abraham Lincoln Brigades and George Washington Brigades, in honor of American heroes. In total, 2,800 went to Spain to fight; 1,800 survived. “Thousands of volunteers from some fifty countries had gathered… to defend an ideal. They thought of themselves not merely as an army but also as a kind of community, almost an alternative social order… The job of the photographers was to record the whole culture, not only for posterity but for the men and women themselves,” as scholar Cary Nelson wrote in his book on civil war photography. After the war, Randall returned to the U.S. and later moved to Canada to fight in the Canadian army in the Second World War, in which he shot newsreels. After the war, he became the head of the science unit for the National Film Board of Canada and also made medical films for the American Cancer Society. Randall passed away last year. My father-in-law Charles Barr of Steubenville fought and lost an eye in Spain as part of the Abraham Lincoln Brigade. She will contact you with her information. Her name is Linda Barr Breslin. I am James P. Breslin.